Ben White, Owner and Operator of BW Timber Harvesting, has over 20 years experience in the logging in industry. A New Hampshire native, Ben grew up with a love of New England, respect for the forest and land, and respect for the trees. His fascination for machines lead him to timber harvesting. As time went on, he has learned about forestry. He takes great satisfaction in making landowners wishes for their land come true and giving them the quality forest that they are looking for. He embraces the challenge of fulfilling their dreams for their land, and has even converted an opposing neighbor or two to see the value of proper forestry. After starting his career by working freelance for many of the top timber harvesters in New Hampshire, Ben decided there was a niche he could fill and decided to go out on his own. BW Timber Harvesting was launched in 2004 with a single piece of equipment- a feller buncher. Since then, Ben has logged more than 19,000 hours in his feller buncher harvesting timber from a multiplicity of forested land in Vermont and New Hampshire, nurturing forest growth and meeting different woodlot objectives from various land owners. Ben has since rounded out his fleet with a Tigercat 822C FellerBuncher, a Hood 24000 loader slasher, two John Deere skidders- 848H and 748GII, and a Morbark 23 chipper. He’s prudently expanded his operation as the business has evolved and the types of woodlot management projects demand. 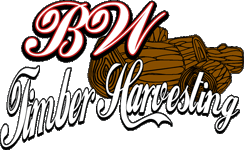 Please see our Services page to find out more about these and other timber harvesting services offered by BW Timber Harvesting. Is there a "minimum" acreage size wood lot that you will work with? 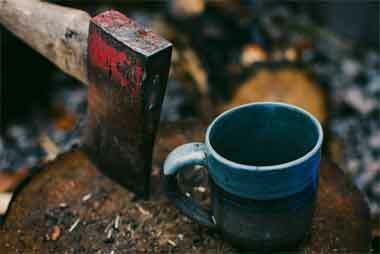 Is BW Timber Harvesting a licensed Forester? No- BW Timber Harvesting works closely with licensed foresters, so recommendations are easily made if you choose to request. The forester’s fee will be determined by the forester and passed on directly to the Landowner. Your forest is an asset, an investment, whether it be long or short term “investing”. Long term “investing” will return more on your “investment” over the course of years, kind of like letting your 401K grow for many years. Short term will return your “investment” sooner, which may help with unforeseen financial needs. Does BW Timber Harvesting buy single trees? No- The tree, or few trees, near your house, garage, shed etc. are hazardous and require removal from the top of the tree down, as not to strike a building, power line, etc. Those trees require contacting a local tree service for removal.